Spare textile net for safety enclosure on Hip/Hop 180 6ft. Spare blue safety enclosure net for round 1.83m trampoline. 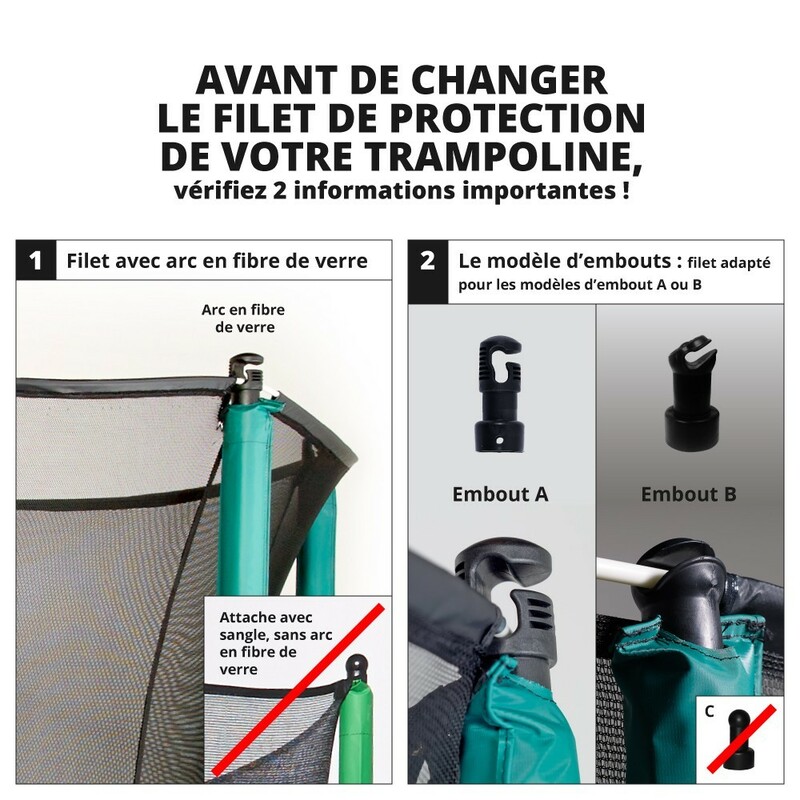 The safety enclosure must secure all persons with an imbalance on the jumping mat. The net can be damaged after a few years of use or in the event of a risky reception. To avoid the purchase of the complete set we offer the safety net sold separately for a 6ft. Hop trampoline 180. - This textile net will perfectly fit your 6ft Hop 180 trampoline, or a 1.83m diameter with 6 posts curving towards the exterior. 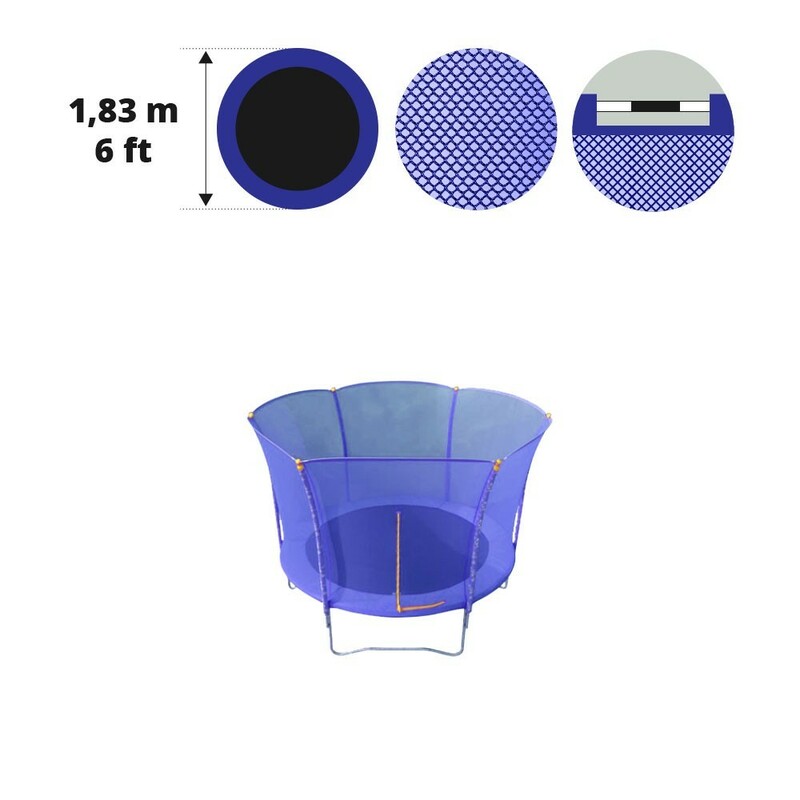 - The Hop 180 net comes in blue and is made from polyethylene. The net's fine mesh prevents injury and children from getting their fingers caught. This net is especially resiliant in supporting falls thanks to its 130g/m². The anti-UV treatment it has received is essential to prolong the lifetime of your safety enclosure. - The includes an inside and outside opening through a zip door. - The fiberglass rods are an essential part of the enclosure, they are inserted into a sheath and clipped to the ends of the posts. These fiberglass rods are used to distribute the net's tension. - Fixing the safety enclosure will guarantee a high level of safety. For the lower part, this spare net has multiple straps with sewn-in hooks that will go under the frame and stabilise the net at the spring area.